The Genting Casino Coventry Blaze would like to thank our fans for their generosity over recent weeks in support of Air the bear in aid of Free Radio's Mission Christmas, and the Food Bank for The Trussell Trust. For one more week, we are asking for your help to support another charity in need this Christmas. 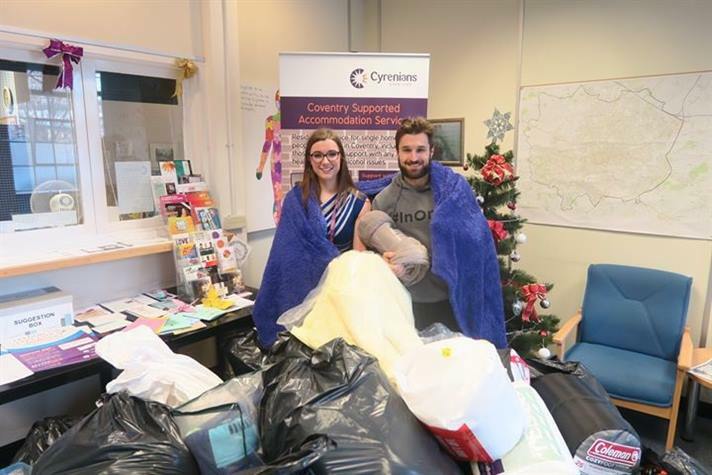 Lead by Canadian forward #22 Alex Nikiforuk, at Sunday's game vs. Dundee Stars (5.15pm Skydome Arena), the Blaze will be having a 'Blanket Drive' in partnership with Coventry Cyrenians, to help provide warmth for the homeless over the festive period and beyond. For every blanket donated, Alex will generously buy a blanket to match in order to double the donation to the charity. Sleeping bags are welcome. Blankets ideally should be new, but if not clean used blankets will also happily be accepted. A collection point for the blankets will be at the Fanzone end of the Arena at Sunday's game vs. Dundee. We thank you all again in advance. We mountain of blankets donated to us by their fans after heir #BlanketDrive! Dundee Stars fans joined in too! Shortly after, we had three service users in need and took a lovely picture of them with their clean, warm blankets and bedding for the night. 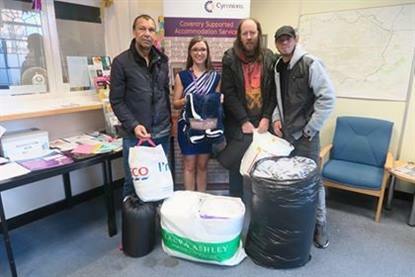 Thank you to all that took part in helping to give warmth to those in need this Christmas. We'd also like to thank Blaze forward Alex Nikiforuk, who followed with a financial donation of £400 for winter essentials.